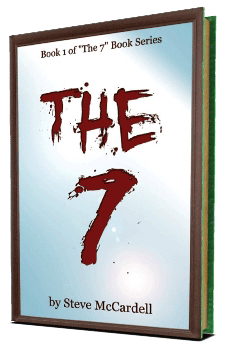 FREE Copies of "The 7"
If you're an Amazon Prime member and own a Kindle, you can borrow it for free. If you're a Kindle Unlimited member, you can read it for free. If you purchase a printed copy, you can get the Kindle version for free. This is good on either a Kindle or Kindle app (for instance, on a tablet with a Kindle app). I will GIFT you a digital copy. (Again, for use on Kindle or a Kindle app.) The digital version is just 99 cents, but if you don't want to risk your 99 cents, just write to me through the form below and I will gift a copy to you! A fast-paced epic fantasy adventure for kids in 3rd to 6th grades. Filled with odd events, humor, puzzles, bravery, and needing to do what's right! Print & Kindle Versions Available. or library to carry it.